- The client starts his industrial or commercial project by a preliminary meeting with the commercial department which provides him with all information related to the industrial and commercial lands, (PnP) factories and facilities available. - The commercial department arrange for the customers visits to SIDC in Al-Sokhna to see the situation on the ground and find out all the details of the services available. - After reviewing the customer's requirements, the commercial department submits a detailed quotation with a land or Factory master plan, details of the services and facilities provided and payment terms. - The commercial department review the offer with the customer and negotiate with him to reach a mutually agreement. - The commercial department prepare the sales contract and agree on all details with the customer in accordance with the company's policy and approved standard contracts. - The customer will sign and stamp the contracts, submit the full cheques to SIDC and receive a receipt from the financial department. - The customer shall prepare a complete file containing the required documents to be submitted to the General Authority of the Suez Canal Economic Zone (SC Zone) to approve the project. - SIDC will deliver the land or factory to the customer after the first payment collected in SIDC account and receive the welcoming letter of the project from SC Zone. - Recent commercial register (not exceeding three months). - Company investment file and its amendments, if any. -Study the environmental and social impact on the project according to classification (A) or (B) by filling in the forms, sign and stamp or classification (C), which requires full study of the impact of the environment of the project. - Initial approval from the Industrial Development Authority, if any. - Study the environmental and social impact on the project. - Full presentation of the activity and the idea of the project (Power point). - Feasibility study of the project. - Fulfill the request for initial approval of the General Authority of the Suez Canal Economic Zone (SC Zone) (attached) ,sign and Stamp. 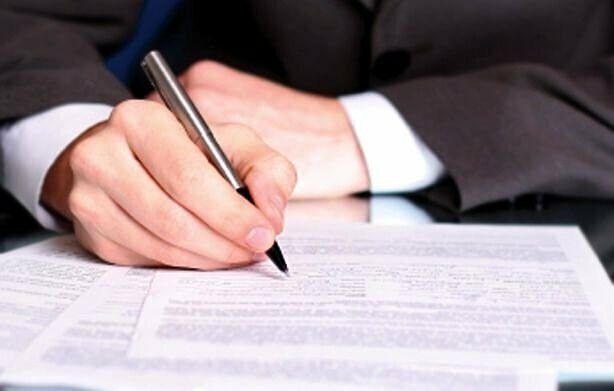 - In the case of non-institutional companies, a certificate of no confusion shall be sufficient in the name of the company for the contract signature until completion all of the above requirements. - Adopted letter from the costumer on his letter head requesting the approval of the construction of the buildings and the project. .. The layout showing the total cost of the project, the consumed electrical power, the quantity of water required, the quantity of drainage and the quantity of gas. .. Plans - Elevations - Sections - roads - green areas. ..Three copies of the structural drawings (including foundations and columns, ceilings and beams, stairs, sections and structural details). .. Number of (3) copies of Bill of Quantities ( BOQ) . -The investor shall submit a letter of guarantee L/G with the amount request, provided that it shall be returned back immediately upon completion of the project construction works within the area allocated to it. - Consultant certificate from the Engineers Syndicate. - The duration of issuing a building permit is around 30 days. - Fees of the Authority: (The area of the building X 600 EGP X 2‰) by Cheque in the name of Suez Canal Economic Authority (SC Zone) delivered by (SIDC) to the Authority against simple receipt. - Fees for construction permit services: 18000 EGP (Eighteen thousand Egyptian Pounds) + 14% value added tax (VAT) is payable by Cheque for (SIDC) against official invoice from (SIDC). -The Presentation Letter addressed to the General Authority of the Suez Canal Economic Zone from the legal representative of the company in which he is liable to register the company by electronic notification to the Authority. - Recent original commercial register of the company. - An original copy of the Company's contract and any modifications. - Company's investment file and any modifications. - An original copy of the company tax card and the last tax report of the company, it will not be accepted to notify any company does not have a tax report. - The financial merit of the company through a brief financial study determines the financial position of the company in addition to a financial analysis of the previous three years of the company's budgets, if any, the financing structures and the financial solvency of the company. - The company's successes, activities and perceptions of the projects targeted in the region in addition to the company's strategies and technical capabilities, and general economic indicators of the company's performance. Procedures for Registering Companies and Blue Contract. Legal advice, Support and Companies Establishment. SIDC standard contracts for the Sale of Land and Factories (PnP). - Law No. 83 of 2002 for economic zones of a special nature. - The new investment law. Infrastructure and Facilities available in SIDC Industrial Park.